Rad Power Bikes, which designs bikes here but has them built in China, says it will soften the impending tariff’s impact by absorbing nearly half the cost itself. But it says the import tax makes no sense because there are no domestic manufacturers to protect. Rad Power Bikes has gone from a handful of employees to 75 as swiftly and smoothly as an electric bicycle climbing Capitol Hill, but the Seattle company and others in the growing e-bike sector now face the financial equivalent of tacks scattered on the roadway. A new round of 25 percent tariffs imposed by the Trump administration on numerous imports from China is scheduled to take effect Thursday. Rad, which designs its bikes here but has them built in China, says it will soften the financial pain for consumers by absorbing nearly half the blow itself. Its $1,499 bikes will cost buyers $200 more as of Aug. 23 — but the other $175 required to pay that 25 percent tariff will come out of Rad’s pocket. It’s a significant hit all around, says co-founder Mike Radenbaugh. “Our margins decrease, our customers are more reluctant to purchase, and we have to spend more on marketing” to woo those customers. What frustrates Radenbaugh and his fellow founder Ty Collins is that in their view, the tariff on their product is not protecting a significant U.S. manufacturing base or forestalling a Chinese advance to dominate some new sector of technology — the arguments generally given for the Trump administration’s widening tariff battle with China. Radenbaugh and Collins, age 28 and 30 respectively, say their business model of selling directly to consumers without dealers or middlemen enables a good balance between quality and price. The market has been receptive: Rad Power Bikes says that after sales grew 350 percent last year, it expects to top $50 million this year despite the scheduled tariff crimping the final months. Radenbaugh won’t give specific numbers but says the company has sold “tens of thousands” of bikes and “greatly outsells” any U.S. competitor in a field that grew to 300,000 bikes last year. A bit of math suggests that $50 million in sales of $1,500 e-bikes would amount to more than 33,000 units. But the tariffs will be “very impactful for 2019,” he says. And other e-bike sellers, with dealers who must also pass along their increased costs, could suffer even more, says Collins. 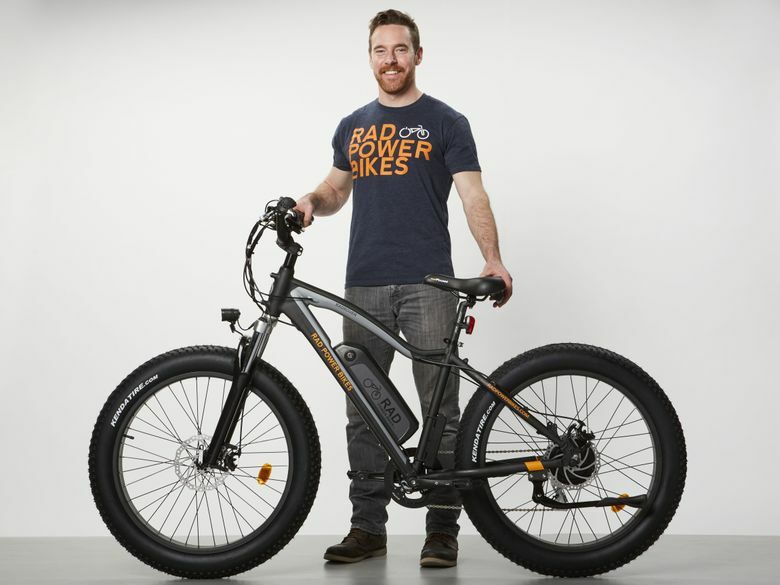 He acknowledges that he’s going after a different crowd with e-bikes that start at $3,995 and include an Elite series ranging upward from $11,990. “We’re more of a boutique, trying to build a high-performance bike rather than a mass-market bike,” Turner says. Rad’s co-founders say building their more affordable bikes in the U.S. is not a viable option. “There’s never been any supply chain that’s domestically based for electric bikes, there’s no infrastructure, there’s no trained labor,” says Radenbaugh. The EU last month proposed hefty tariffs of 22 to 84 percent on Chinese models that it says are being dumped — sold below cost — in the European market. The difference? There are actually established e-bike manufacturers in Europe, building on the Continent’s tradition of manufacturing conventional bikes. And, as the electric vehicle website Electrek reports, “the European Commission visited a number of large electric bicycle manufacturers in China” to study subsidies and business practices as part of a lengthy, industry-specific process. But there’s no such manufacturers to protect in the U.S., says Radenbaugh, and the e-bike industry has simply been caught in a widening trade war where retaliatory measures are sweeping in everything from American soybeans and lobsters to Chinese industrial lubricating oils. This past week reports surfaced that new talks are planned between midlevel U.S. and Chinese trade officials, for the first time since June. Meanwhile, PeopleForBikes.org, an industry lobbying group that’s also supported by REI, is collecting signatures on a petition asking for e-bikes to be removed from the upcoming round of U.S. tariffs. But Radenbaugh, who says the U.S. Trade Representative gave perfunctory treatment to earlier input from the e-bike industry, is not optimistic that any of those efforts will change the outlook anytime soon. “It’s just hyper-unlikely because of the political climate,” he says.